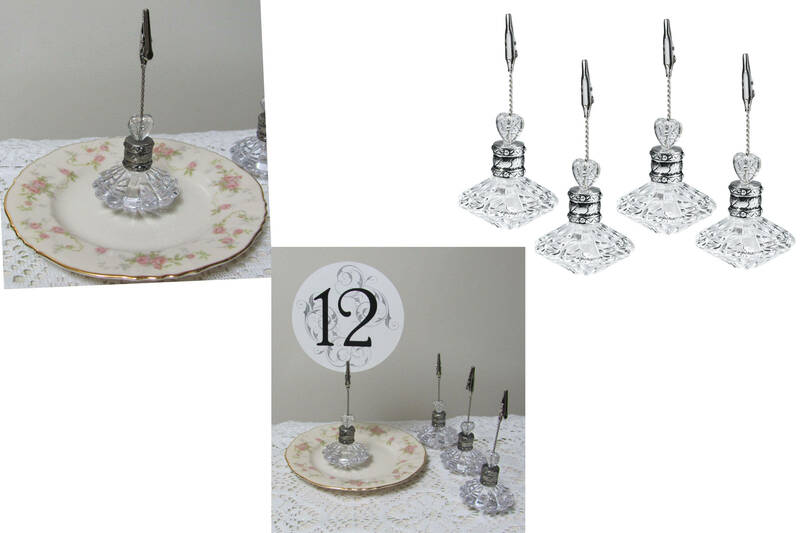 Table number holders set of 4 ideal for weddings, events and parties. Each acrylic card holders measure 2" x 4.75 inches tall. 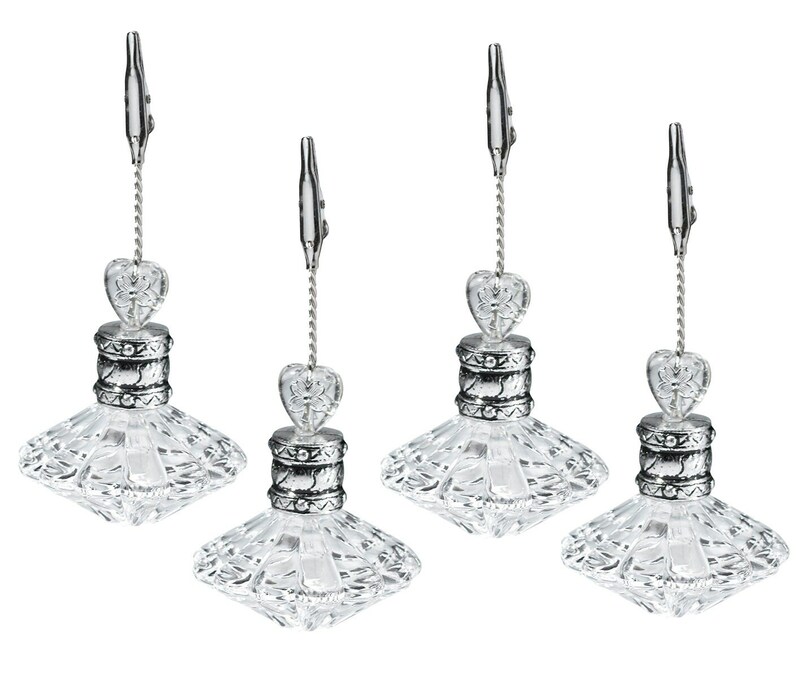 These wedding supply items can be used along with a floral arrangements and other decorative items you place on the reception or party tables. 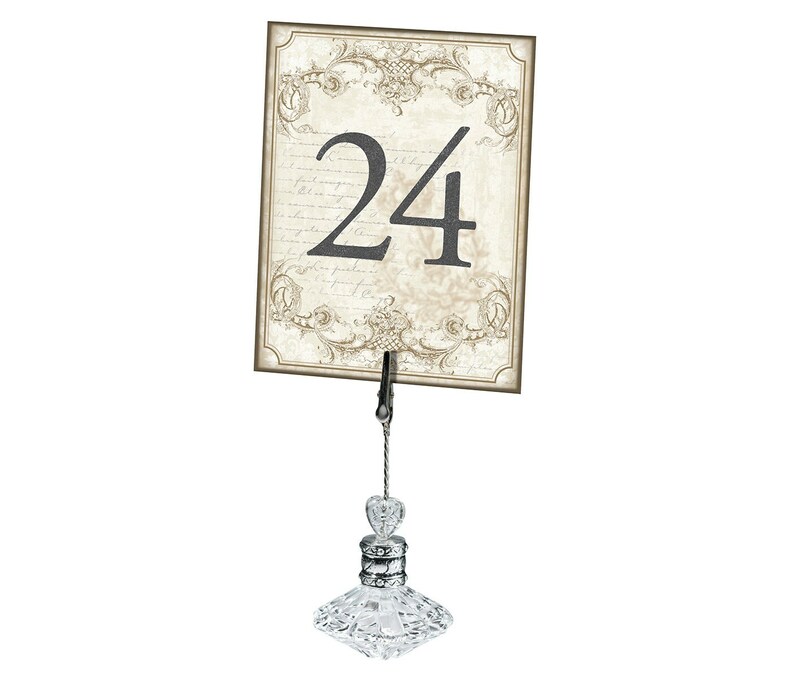 They can hold table numbers, place cards, photos, menus etc. etc. Ideal for wedding receptions, holiday parties, special events and dinner parties too. 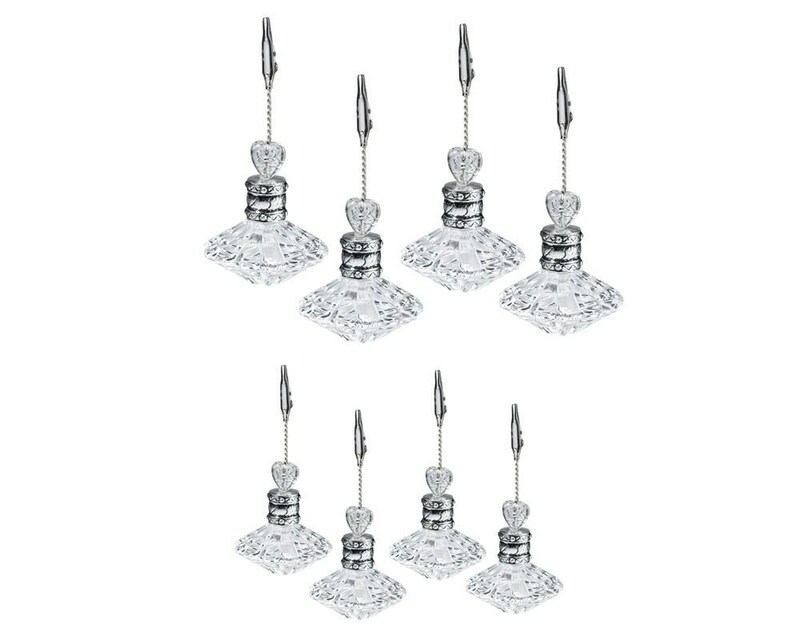 Please note number cards are not included with these table number holder supply items.